“When I first got them he was going nuts, spreading them all over the room and digging around in them, getting buried, just generally going ballistic." Kugo the cat is around 5 years old, and absolutely loves getting into and playing with things he’s not supposed to. 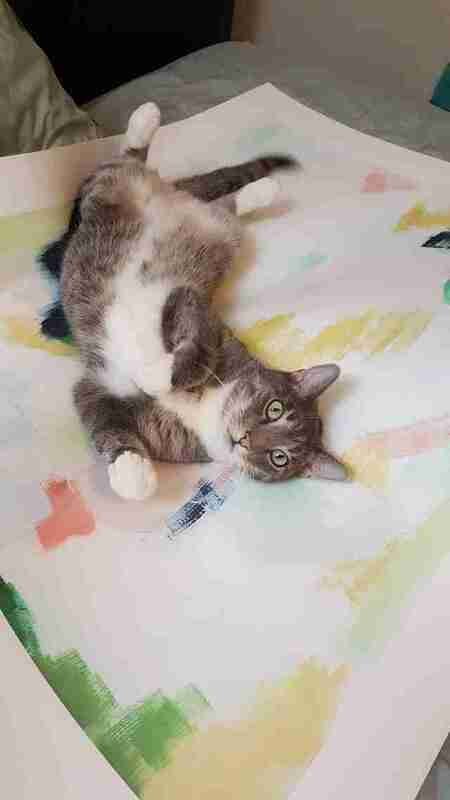 He loves playing with his mom’s art supplies, finding and eating foods like tortilla chips and Cheerios and destroying anything he can get his paws on. 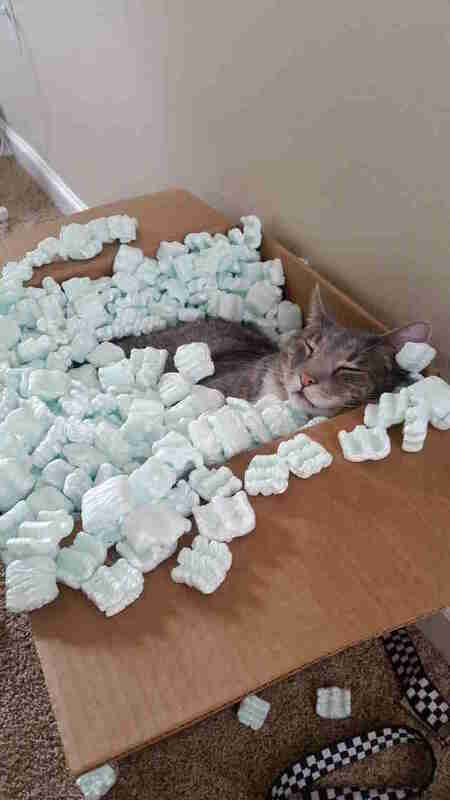 Kugo thought he had conquered it all — until his mom ordered a package that came with packing peanuts. 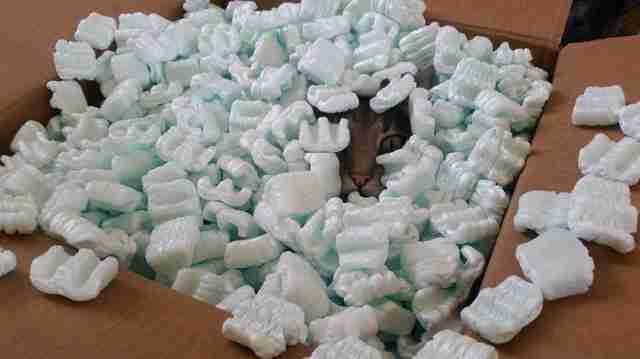 When the package arrived, Barton opened it expecting to find bubble wrap, and was instead faced with hundreds of packing peanuts. 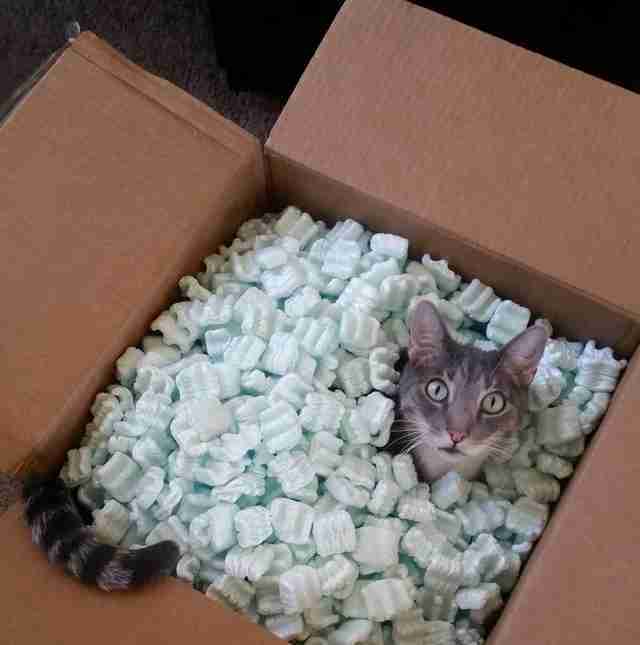 Kugo had never seen packing peanuts before, or anything even remotely like the strange, alluring material, and within moments he was in the box, completely and utterly mesmerized. The box of packing peanuts arrived several days ago now, but Kugo’s obsession has not let up at all, according to Barton. He plays with the peanuts whenever he can, and sleeps in them all day long — sometimes for four or five hours at a time. 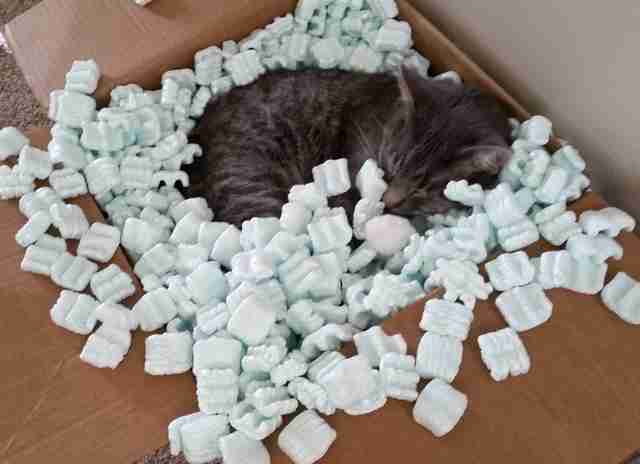 Barton closes up the box at night and when she’s not home so that Kugo doesn’t accidentally eat them, but when the box is open, the packing peanuts are absolutely all he can focus on. 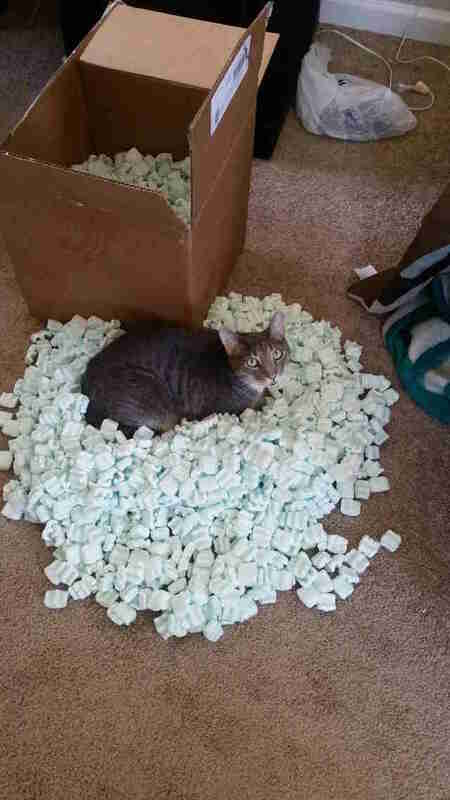 Luckily for Kugo, his mom works from home, so he has plenty of time to dote over his beloved packing peanuts all day long. Kugo has lots of other quirky things he likes to do, like stare at bugs out windows in his home and watch YouTube videos, but ever since he fell in love with the packing peanuts he’s had a one track mind, according to Barton, and there’s no telling when this obsession will let up, or if it ever will.